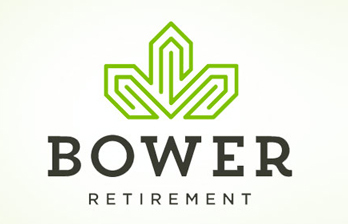 Bower Retirement Services is an impartial retirement lending specialist providing advice on how homeowners can safely release equity from their property. Bower Retirement Services conforms to the Equity Release Council Code of Conduct and are authorised and regulated by the Financial Conduct Authority. When Bower approached Silver Touch Technologies they already had a basic Customer Management System (CRM) application in place, but it was clear that it would not be able to fully support the future plans of the business without further development. They needed a more versatile and flexible CRM solution to meet specific business requirements for each department and for their many different clients on a daily basis. They needed all the right information at the touch of a button to enable them to understand and answer any question pertaining to their customer. The CRM system had to be robust enough to give its users a clear picture of the status of each client and the progress of each and every client case. It was decided to continue to work on the existing CRM code due to the amount of time already spent on the project with an external development company so starting again was not a viable solution. Silver Touch worked with Bower to produce an overall scope of work for a phase 1 deployment, addressing many of the issues left by the previous developers and to delivery many new facilities. With the new system in place, Bower is easily able to keep control of all the leads they receive from the various sources. The CRM solution provided by Silver Touch has enabled them to assign the leads to various lead managers and track their progress with the use of a traffic light system thus making it easy for any employee to pick up a client case at any point in time. One of the main design criteria was that the system had to be easy to use and that users could view, edit and upload data effortlessly. Reports were also a requirement, so a function has been made using a ‘What You See Is What You Get’ Editor to allow the users to create reports based on the data entered. Notifications of tasks to do when the user logs on.